In coastal Garibaldi, Jeff Wong's Community Supported Fishery packs a range of sustainably fished Oregon seafood—and whips up fish tacos. 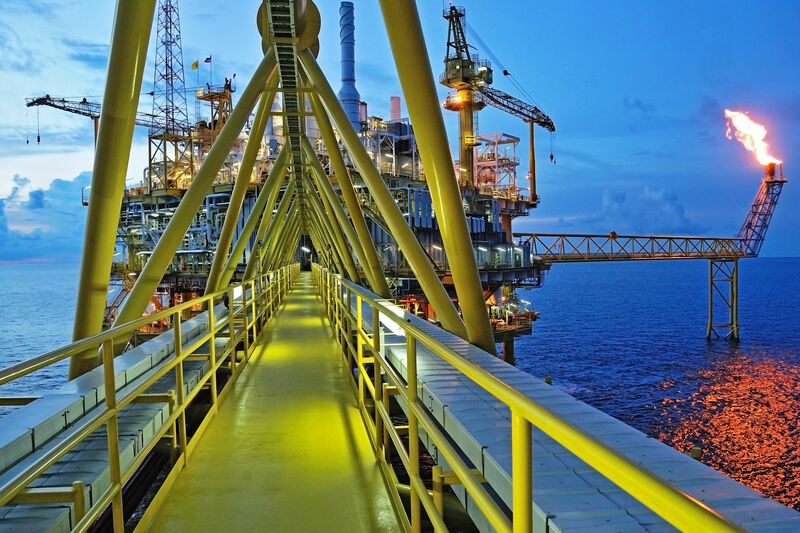 Now, CSF plans to expand its operations to Wheeler, 13 miles south. With a population south of 500 (as of 2016, the count was just 430), Wheeler is one of the smallest, most underdeveloped towns on Oregon's North Coast. 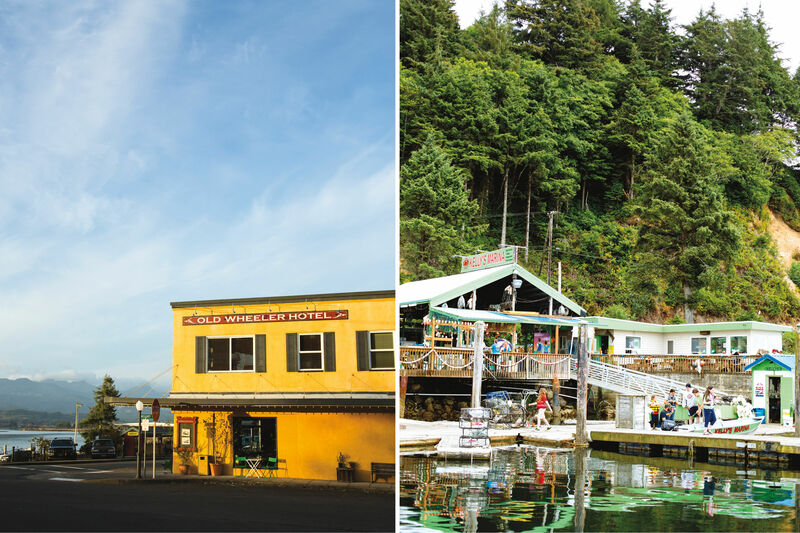 It's also been, for decades, one of its sleepiest—a bayside community without ocean views and splashy tourist lures, like nearby Cannon Beach and Seaside. The main drag is just a few blocks long. There's one hotel. (It's a nice one, though.) A couple shops. A park and quiet marina. Yet over the last year, its fair to say that things are definitely moving in Wheeler. 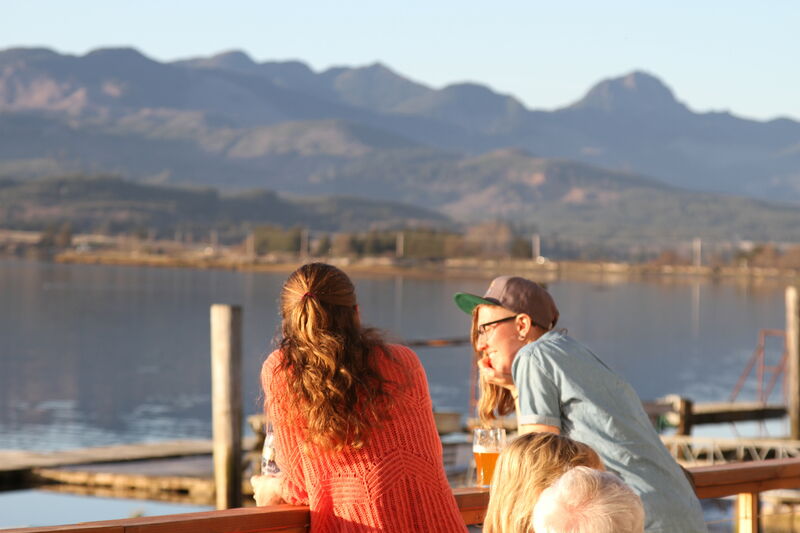 In the spring, we reported on one big development rocking this small town: the opening of the Salmonberry Saloon, an ambitious new restaurant that marries a farm-to-table ethos with beautiful bayfront views. 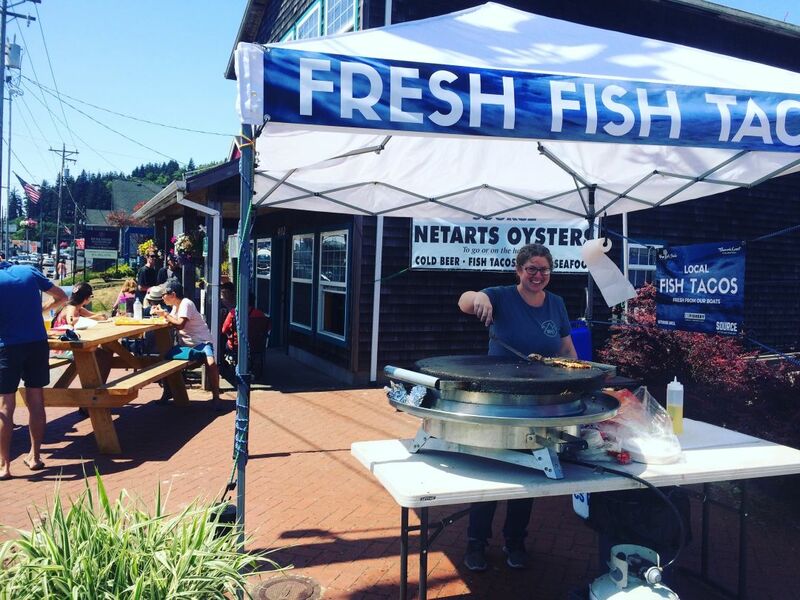 Then this past summer, Wheeler claimed the spotlight in our feature about a larger foodie-based tourism trend taking root across Oregon's North Coast. Disney cruise ships have docked in Astoria for years, but starting the third week of September, Disney passengers will have a new on-land excursion opportunity: destination Wheeler. For $249, passengers can board a motor coach for an approximately 50-mile trip south to Rockaway Beach. From there, riders take a breather—about an hour to explore Rockaway Beach's seven-mile stretch of surf shops and viewpoints—before boarding the Oregon Coast Scenic Railroad for a genteel coastal tour boasting views of the Pacific Ocean, Nehalem, and the Salmonberry River canyons, all before disembarking in Wheeler. “You could think of this as a rolling museum,” says railroad spokesperson Bill Devlin. Long-time coastal citizen Ken Ulbricht recently purchased a big chunk of coastal land just north of Wheeler's marina. 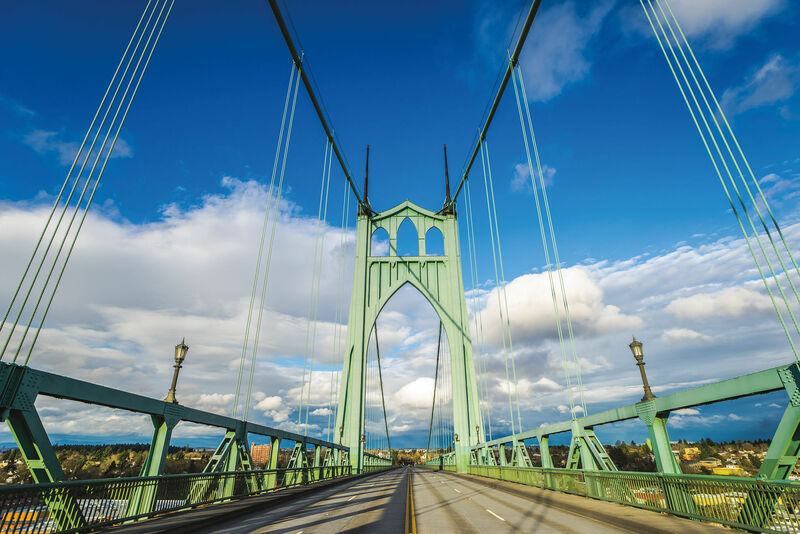 According to Ulbricht, the town, like many coastal locations, suffers from a lack of affordable housing—a big obstacle for aspiring long-term visitors, seasonal workers, and other coastal migrants. Ulbricht's solution? He plans on developing cottage-style, cheap-to-rent workforce housing. He also partnered with Jeff Wong of Garibaldi's Community Supported Fishery to set up a fish processing facility just north of the Salmonberry Saloon. Wong’s goal is to move towards direct distribution of fish that is harvested by CS Fishery boats and to invite locals to participate in the canning, smoking, and handling in a demonstration kitchen. “Oftentimes, all of the good stuff gets sent to the city and the coastal towns are left with the dregs,” explains Wong. 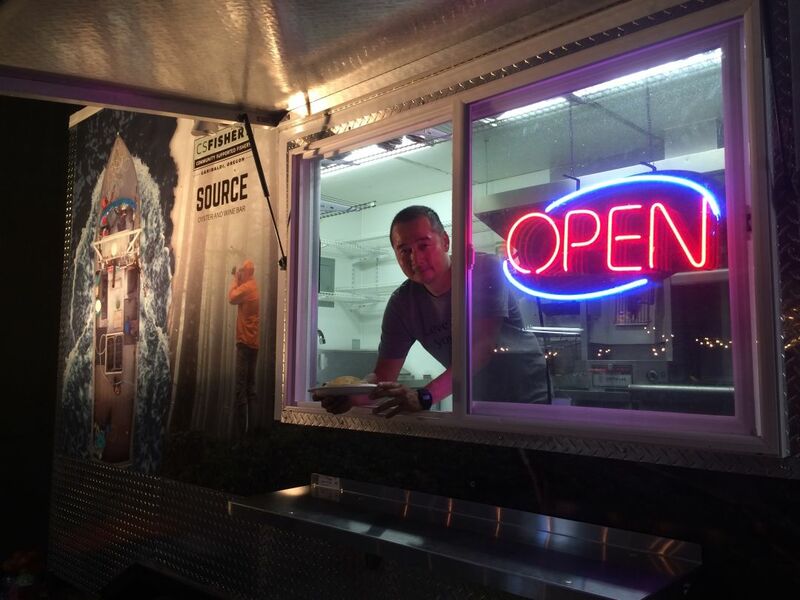 “We’re trying to let locals have access to that, as well.” The commercial facility permit application is currently on track to go to the city within the next month or so, Wong says, but he hopes to have a food truck onsite by mid-September—just in time to sell fish tacos to the Disney cruise ship visitors. Jeff Wong helms CSF's mobile food truck, hopefully in Wheeler this fall, ready to sell fish tacos to Disney's cruise ship passengers.